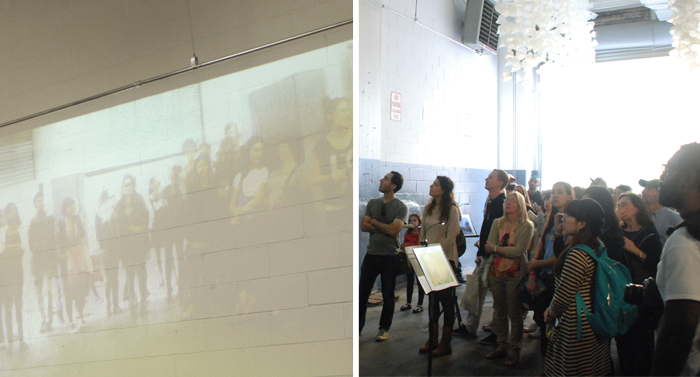 Graphic Ships is a live audio/visual event, built from interactions between audience and performers. 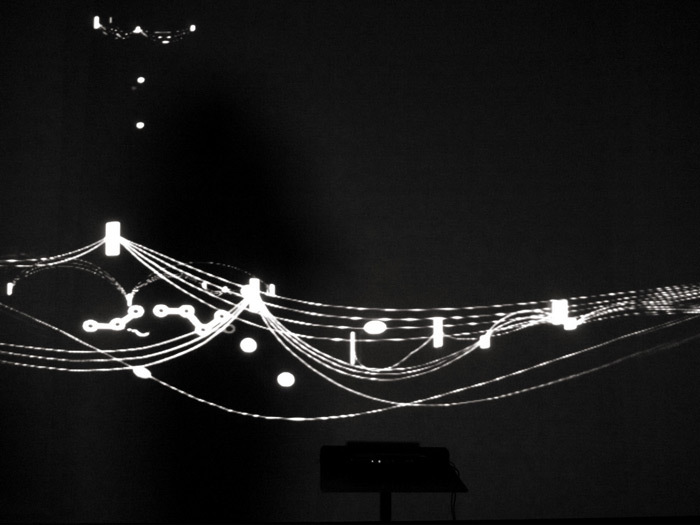 Sound artists and musicians perform from an ever changing graphic score generated by data from the performance environment. 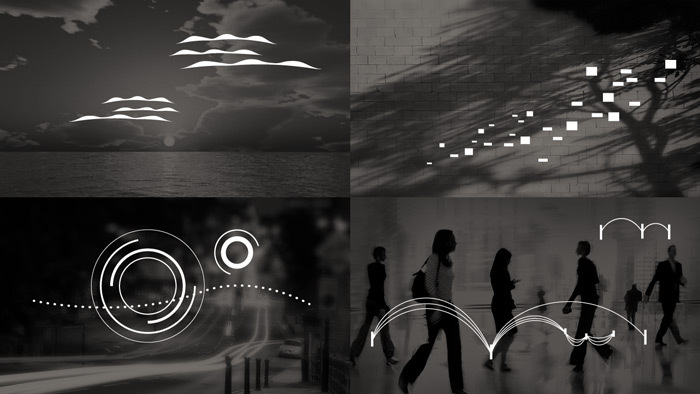 Graphic Ships can adapt to exploit different data sources in different environments; dancers, audience members, moving trees, passing crowds, cityscapes. 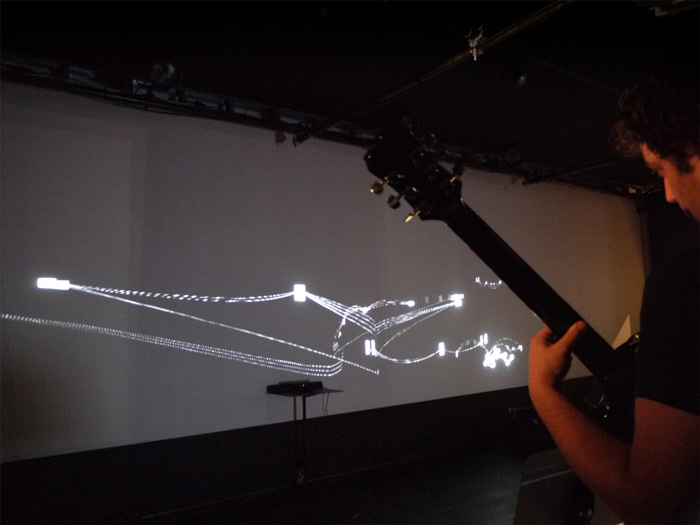 Remote artists can participate via telecommunication technology, the graphic score serving to connect them with the venue over global distances. 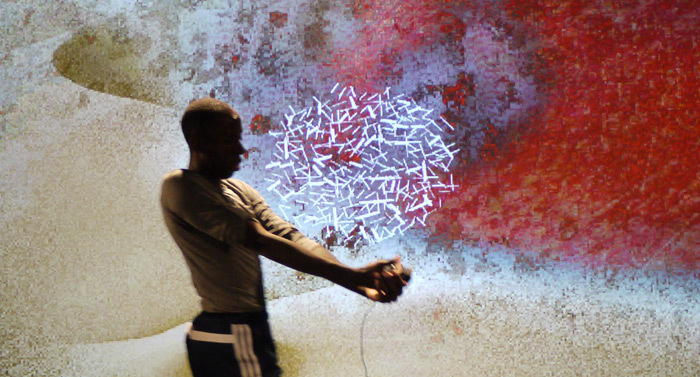 The interactive visuals become a vehicle, a means to transport creativity between individuals. In September of 2014, we held a performance in Birmingham UK as part of the Network Music Festival, featuring a slew of experimental musicians, including long time collaborators Alex, Andre, and Ed, along with new players Shaun Blezard, Christophe Meulien, and Daniel Moschopoulos. Featuring the most advanced interactions to date, this performance sets the tone for things to come. 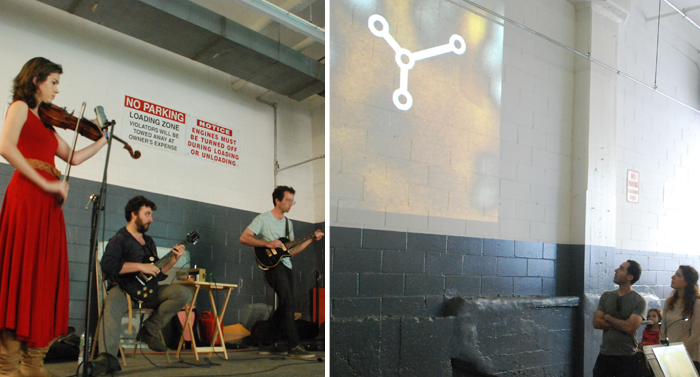 A cavernous concrete loading bay became the venue for this iteration. 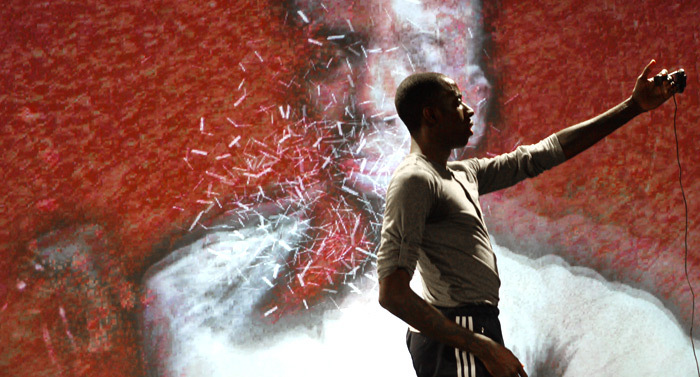 Visuals were projected on a bare wall, the local performers worked from a raised platform, and the passing crowds stopped in to enjoy the experiment as a discreet webcam transformed their bodies into abstractions. 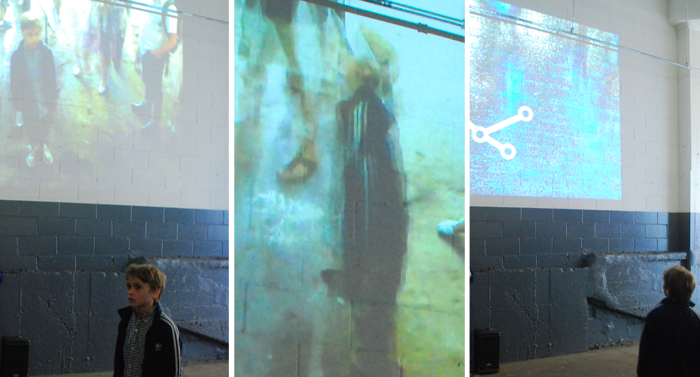 Remote artists participated via a 3G modem, a risky tool for the job but it served well, transporting Andre, Herve, and newcomer Alex Cutteridge to Brooklyn. 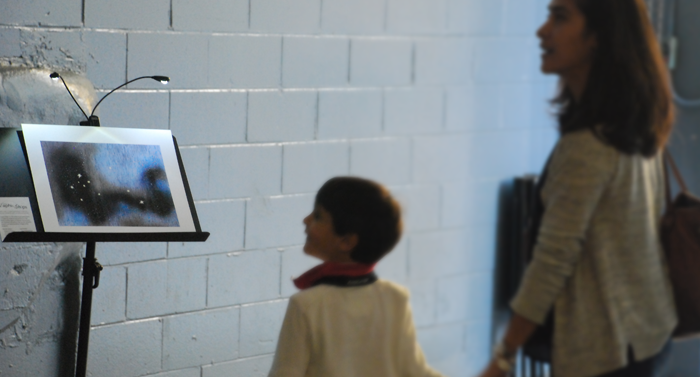 Scattered amongst the audience were music stands featuring select moments from the score. This time, we chose an impressionistic style of visual to mimic painterly effects. 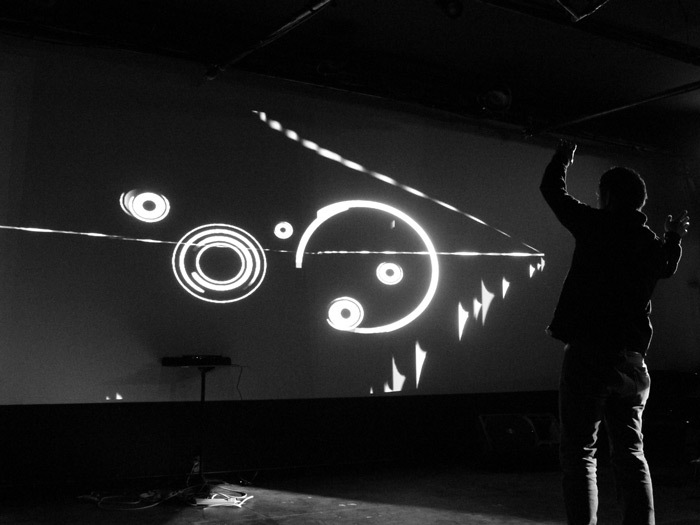 Each year CultureHub presents an evening of experimental sound and visuals, and Graphic Score was a natural choice for 2013. 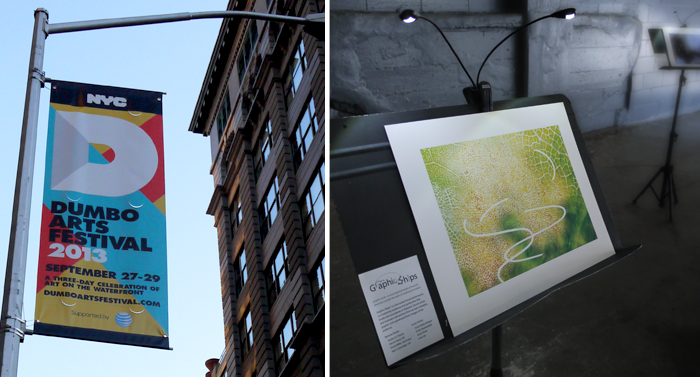 With momentum from the DUMBO festival, the project was expanded to include a new data source named Raja Kelly. A daring professional dancer, Raja offered a careful yet dynamic instigation for interpretation. Also in the room, composer John King brought a trio to participate in the experiment, and remote newcomers included Roger Mills and Dan Moschopoulos. The first step is always the hardest, and the original iteration of Graphic Ships is a case in point. Remote artists were discovered from the European netlabel community, including Andre D, Herve Perez, and Frank Wilke. Scott Wollschleger and the mysterious mike joined in locally on guitars. 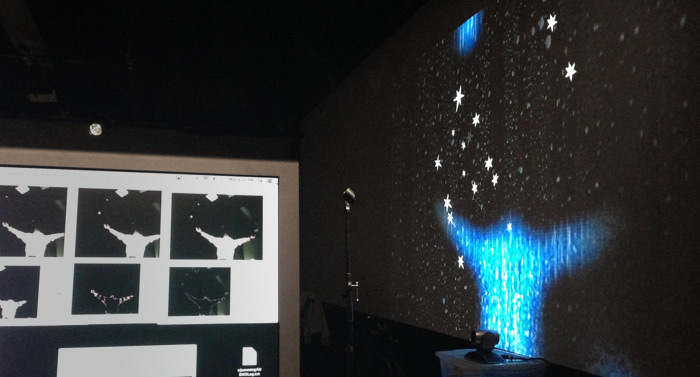 Rather than using RGB data, a Kinect gathered depth data to direct graphics within a 3D environment.